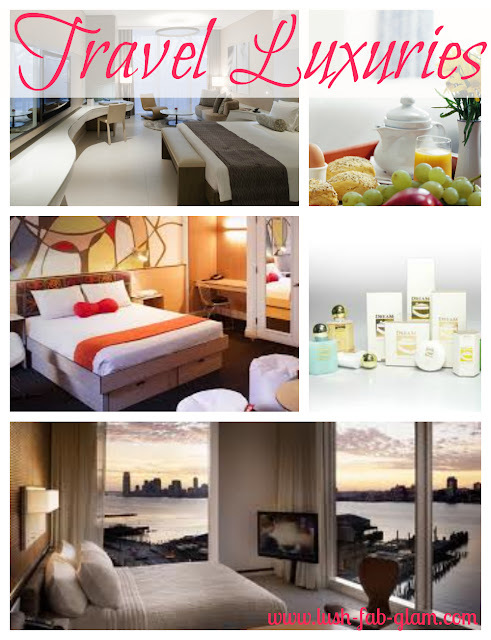 Lush Fab Glam Inspired Lifestyle For The Modern Woman: The Little Luxuries That Make Traveling Fun. The Little Luxuries That Make Traveling Fun. One of the reasons we enjoy writing and running Lush-Fab-Glam.com is because we also get to attend amazing fashion shows like the upcoming New York Fashion Week, we receive exclusive invites to fun parties for store/product launches and we travel to blogging conferences where we get to meet and connect with others in the industry. All of this travelling translates into spending several nights in beautiful hotels with fab decor, stunning views, plush amenities and lots of little luxuries that make travelling fun. And we can't forget about those cute soaps, shampoos and other miniature Hotel Bar Supplies that you only find when you're travelling. They all make the one-room space that is hotel living enjoyable and even relaxing, sort of like a day at the spa. We have to admit that we have left hotels with some of those goodies specifically the soaps. The truth is almost everyone whose stayed in a hotel room has at one point or another left with one of their body care products. Could the allure be because they're not available at our local department or grocery store? Or because they are personalized, which makes it a great keepsake of our trip and visit to a new city or country? This got us thinking about where they come from? 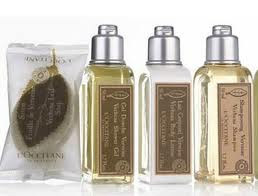 Are they exclusively made for the hotels and can the average person also find and purchase them to display in our own powder rooms or provide to our guests? So we began the search for Hotel Supply Online and came across one particular Atlanta Hotel Supply company that provides wholesale hospitality supplies and cute toiletries for restaurants, resorts and hotels, and their prices were much more affordable than we expected. Now we all know how to get those exclusive little luxuries that we enjoy while travelling. What's your favorite travel and hotel life luxury? Leave a comment below. Fun! We just might have to share this with our travel fans. I agree with you that the little luxuries make traveling fun. When you go to a new hotels, if there is arranged with luxuries things, it makes traveler happy. Thanks! !